He travels by bus and train, eats lunch with beggars and has very forthright things to say about abuse. 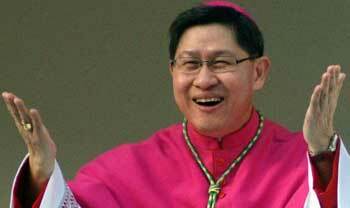 Filipinos would love to see Cardinal Luis Antonio Tagle from Manila soon as Pope in Rome. 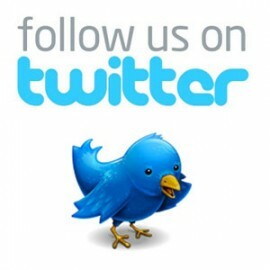 Since October, 2011, Luis Antonio Tagle is Archbishop of one of the large dioceses in the world, of the Archdiocese of Manila. This is a not only a religious, but also a politically influential post. Yet, you can still find the Cardinal traveling by bus. He is proud of not having a car of his own, as “it gives you the opportunity to escape the insulation that high management positions often bring along,” says Tagle. In reality, the communication talent Tagle, has no need to worry about isolation or aloofness. From his diocese is reported, that he approaches people with an open and easy way of doing, has lunch with beggars and does not hesitate to visit the dark corners of the city Manila. Time after time, people are surprised that the person they are talking to is not just a simple priest, but the Archbishop himself. In his lectures and sermons, the Cardinal often refers to his contact with the people, of which many videos can be found on the Internet. During his speeches, the audience is repeatedly moved to tears, and people are literally hanging on Bishop Tagle’s every word. But he admits, “to be also very emotional”. When Pope Benedict XVI. elevated him to the rank of Cardinal last November, he wept. It was a moment of joy, but at the same time of deep respect for the exceeding greatness of the new task, he told journalists.